Most roofs can be repaired saving you thousands of dollars! Castro Roofing can help you with your roofing repair. In some cases nails will “pop” through the shingles due to pneumatic nail guns not sinking the nails to proper depth. Some cases roofing companies are not educated with flashing properly, so they will re use the old flashing. That will certainly fail in time. (We always change all flashing with a new roof installation). In this case if your chimney, pipe boots, valleys or wall junctions are leaking. Castro Roofing’s experienced professional roofers can most likely repair your roof without replacing it. If your roof is 25 years or older, you probably do need to replace it. 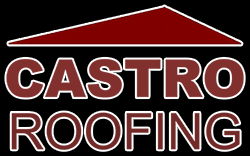 Call Castro roofing today for a free roof analysis. Our name is our greatest asset so we will never try to sell you something you really don’t need.